This desk was made in American Oak solid and veneer, and clear lacquered and waxed to give optimum durability. 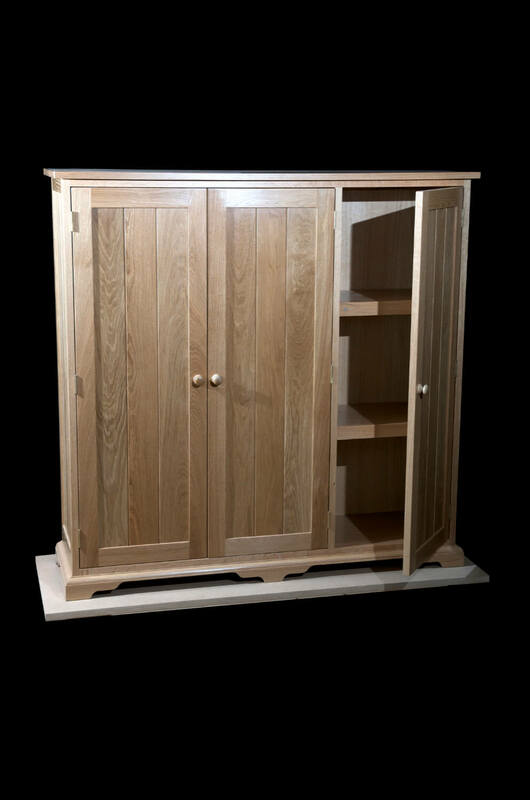 This had a small walnut veneer running around the tops as a decorative feature and was made to match bookcases and other furniture the client already owned. The computer monitor retracted below the top, to provide a clear writing desk top.